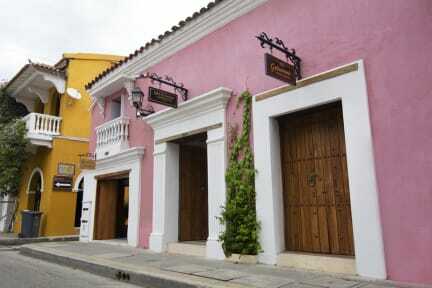 The best hostel in Cartagena. Nice and attentive staff, quality of rooms is outstanding and the rooftop with jacuzzi is just amazing. You have 3-4 options for breakfast, free water, tea and coffee all day long. So much attention to detail in the building as well. Best hostel in town! ;) it’s really a very nice , very clean and cosy hostel! :) very kindly staff and good breakfast. Located in getsemani with a lot of bars in walking distance and only 10 min to walk to the historic center! Will always stay here again when I will come to Cartagena! This hostel is definitely in the top 3 of my hostels in South America so far (if it‘s even okay to call it „hostel“ because it‘s almost a hotel). The rooms are nice and the showers feel like wellness (the best I‘ve had in 6 months!!). Everyone working there was extremely friendly. Every morning you get to choose between 3 different options for breakfast differing every day. The jacuzzi and beds on the rooftop complete this perfect image of a dream hostel. Free coffee, tea and water all day. Thank you for the stay in this beautiful hostel. The staff was very caring, nice and helpful. Everything is very clean. Breakfast is delicious. There is free drinking water which is a very good thing in Cartagena. The hostel is located perfectly to go out at night and to do tourism during the day. And I loved the rooftop to relax, meet people and refresh in the whirlpool! Absolutely loved this beautiful hostel! The staff is incredibly friendly and that really influenced the atmosphere. Despite limited common space, there was a very social atmosphere and I met so many lovely people. Great for solo travellers! I would recommend staying in the 8 bed dorm. There is a lot more space than in the 4 bed dorms and the curtains on the beds provide some privacy. Really cool hostel, I met so many nice people here. The staff is really friendly and help you with everything. The rooftop is amazing and I can really recommend the Restaurant. I just have to say that the four bed dorm is really small and I would recommend to go in the 10 bed Dorm. All in all it was one of the best hostels I stayed in! Ein super Hostel mit toller Terasse und leckerem Essen. Zu Fuss erreicht man die Altstadt in wenigen Minuten. Das Personal ist sehr nett und alles ist sauber. Die Atmosphäre ist super! Würde jederzeit wieder hier buchen! Sehr gutes Hostel. Wir hatten zwar ein Zimmer ohne Fenster, aber das war nicht störend. Klimaanlage ist vorhanden und unser Dorm war sehr geräumig mit bequemen Betten, Schließfach und WC im Zimmer. Das Frühstück war sehr lecker und abwechslungsreich. Auch das Personal war freundlich und hat uns immer weitergeholfen. Rooftop with jacuzzi is really nice and everything is very clean and neat. As there are no real common areas but only a restaurant with mostly small tables, it felt more like a boutique hotel rather than a hostel. The dorm I booked had no window thus no daylight, so the atmosphere of the room wasn't great. However the bed was comortable. 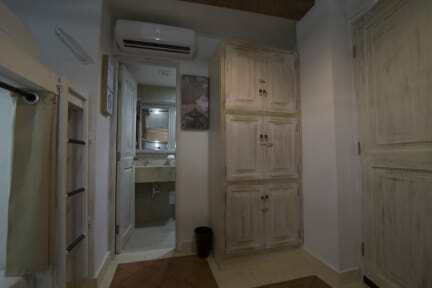 All in all a decent place to stay if your looking for a quite place in Getsemani. Rather stay in one of the private rooms or smaller dorms.